Mirna Willer is Professor at the Department of Information Sciences at the University of Zadar. Her teaching and research interests include the theory and practice of information organization, cataloguing rules, and metadata and identifiers. From 1980 to 2007 Mirna was systems librarian, and senior researcher at the National and University Library in Zagreb. She was a member of the IFLA Working Group on FRANAR, and since 2011 chair of the ISBD Review Group. Mirna has published widely in the field, including UNIMARC in Theory and Practice, and translated The Intellectual Foundation of Information Organization by Elaine Svenonius. Gordon Dunsire is an independent consultant. Previously, he was Deputy Director (2002-2009) and Head (2009-2010) of the Centre for Digital Library Research, at the University of Strathclyde. Gordon’s current research activity is focused on the Semantic Web and includes representation of metadata content and structure standards, development of application building blocks and development of alignment and mapping methodologies. 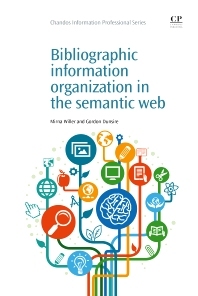 Gordon publishes widely in the field and is a member or chair of a number of professional affiliations, including CILIP Dewey Decimal Classification Committee, DCMI Advisory Board, IFLA Classification and Indexing Section, and IFLA ISBD Review Group.